Hillary Clinton, Democratic presidential candidate and former Secretary of State, is known for being a pantsuit aficionado. Her campaign store even sells a t-shirt imitation of one. 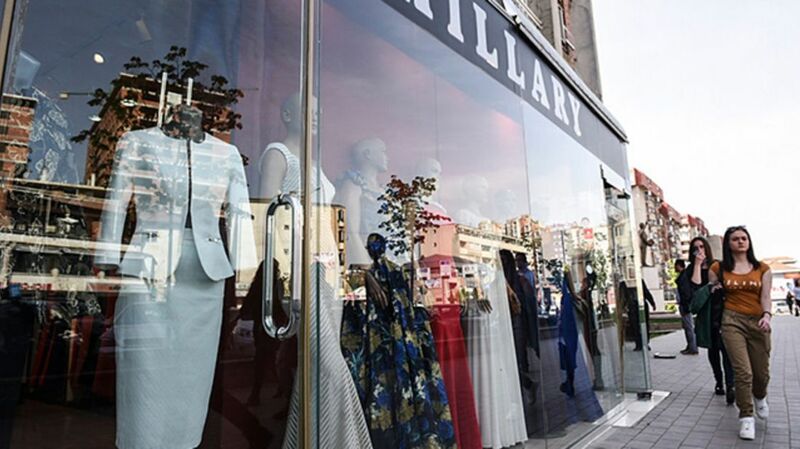 In Pristina, the capital city of Kosovo, Clinton’s fashion sense has been embraced in a particularly unique way: there’s an entire store devoted to selling the styles she wears, Atlas Obscura reports. Residents of Kosovo fondly remember Bill Clinton for his role in the NATO intervention that helped end the Kosovo War and the ethnic cleansing of Albanians in the region by Serbian forces. Most people are content with putting a campaign sign in the window or wearing a button, but store owner Elda Morina-Ymeraga offers a whole new way of appreciating her favored U.S. presidential candidate. What better way to embrace your role model than to dress like her? The store sells not only Clinton’s trademark pantsuits (the beige is particularly popular), but also skirts, gowns, and other outfits that are ready-made for a life of politicking.